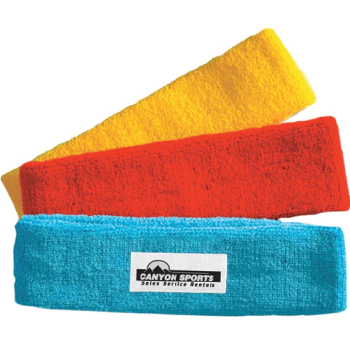 Don’t let flyaways and sweat stop you from giving your all during sport and exercise. To view our supplier’s catalogues, please click here. *Express custom production available for orders over 100 units. Screen print decoration option also available, please contact us for pricing. To view our other Headwear, please click here. To view our other Team & Activewear items, please click here. Prices include all decoration as specified and are + GST. A once off set up cost of $55.00 applies for each new embroidered design. No additional charges for orders of 50+ or repeat orders. Small order surcharge may apply if the embroidery order is less than 6 items. Embroidery pricing based on logo in one position, calculated on approx 7500 stitches (more optional). Multiple position embroidery is available, at an additional cost. Delivery if required, is extra and charged at cost. Larger quantities are available, please contact us for our best prices. Above prices assume artwork will be supplied in correct format.